Barry S. Franklin was born on February 16, 1954 in New York City. He grew up in Garden City South on Long Island, New York. At the age of 12, Barry moved to South Florida with his family. In 1984, he married his wife Nicola, who manages the Law Firm. Professionally, Barry graduated from Nova Southeastern Shepard Broad School of Law in 1979 and began his legal career as an attorney practicing law in Florida. While in law school, Barry was accepted as a member of Law Review and in his final year of law school, was given the high honor of being appointed as an editor of Law Review. Additionally, while in law school, Barry was awarded the position of teaching assistant for both legal research and legal writing. Following those passions after law school, Barry continued to author and publish numerous articles and other written materials as designated in greater detail below. In the beginning of his career, Barry handled various types of civil litigation and real estate transactions. His early experience included major courtroom victories against Eastern Airlines, Maserati Automobiles, Inc. (the first landmark lemon law appellate decision in the State of Florida) and a multi-million dollar jury verdict(s) affirmed on appeal arising from one of Florida’s most high profile divorce cases (Luskin v. Luskin). In 1988, Barry passed the certification exam and satisfied all other requirements of the Florida Bar to be designated as a Florida Bar Board Certified Attorney in Marital and Family Law. He has been recertified in marital and family law for each five year cycle since his original certification. Additionally, Barry is a Fellow in the Florida Chapter of the American Academy of Matrimonial Lawyers. Membership in the American Academy of Matrimonial Lawyers requires passing an examination and being approved for membership for which Barry has remained a member in good standing since 1990. He is also a member of the New York Bar since 1988. Barry is recognized in Martindale Hubbell with the highest possible lawyer rating of “AV” for 23 years. Since 1995, Barry has also been continuously listed in the publication “The Best Lawyers in America”. Other publications have recognized Barry’s outstanding skills and accomplishments including South Florida Legal Guide and Super Lawyers. Besides authoring various articles and other legal work that has been published as referenced below, Barry also enjoys lecturing on various topics in the law with a particular emphasis on courtroom procedures, evidence and substantive family law topics such as marital and family law tort claims. He has lectured around the country for the American Academy of Matrimonial Lawyers particularly on marital and family law tort claims and much of his work product from the high-profile Luskin v. Luskin, et al. case has been published in “Marital and Parental Torts: A Guide to Causes of Action, Arguments and Damages” printed by the Family Law Section of the American Bar Association. Barry’s practice is concentrated in marital and family law, certain types of commercial and civil litigation as well as appellate work (principally family law related appeals). 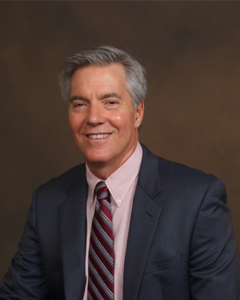 Barry is a Florida Bar Board Certified attorney Board Certified in Marital and Family Law since 1988. Barry is a fellow in the Florida Chapter of the American Academy of Matrimonial Lawyers since 1990. Barry carries the highest possible “AV” rating with Martindale Hubbell and is listed in various authoritative sources such as the Best Lawyers in America since 1995, South Florida Legal Guide, Super Lawyers and others. Barry is also certified in Collaborative Law and certified as a Family Law Arbitrator (certified by the American Academy of Matrimonial Lawyers). Barry was previously certified as a Civil Circuit Court Mediator for many years. Barry has also given back to the community where he has lived since 1966 volunteering as a pro bono Guardian ad Litem and the Florida Bar’s Scope mentoring program to assist younger, less experienced lawyers with questions and problems in their practices. “In re: The Marriage of Marie Ruth Luskin and Paul Luskin v. Joseph and Mildred Luskin, et al.” – a profile of Barry Franklin’s handling of the civil conspiracy and civil theft jury trial, resulting in a $10.9 million judgment for his client, Marie Luskin, published in the Miami, Broward and Palm Beach Reviews, September 22, 1988. “Overview of Judicial Disqualification in Florida”: – published, November 1988, Florida Bar Journal and Family Law Reporter. Update Chapter entitled: “Alimony Modification in Florida” – published 1988, 1992 and 1994 Florida Bar CLE Book Proceedings after Dissolution of Marriage. “Nothing Cheap in Love and War” – a profile of Barry Franklin’s handling of numerous fraudulent conveyance claims in Luskin v. Luskin, et al. and the jury trial resulting in the voiding of property transfers deemed fraudulent published in the Miami, Broward and Palm Beach Reviews, April 13, 1990. Second Update Chapter entitled “Alimony Modification in Florida” – published 1990 Florida Bar CLE Book Proceedings after Dissolution of Marriage. Authored chapter on “Family Law in Dade County” for the Dade County Young Lawyers Division Handbook, 1990 Edition. Authored chapters on Child Custody Modification and Attorneys for Children and Guardian ad Litem in Child Custody and Visitation in Florida, published by National Business Institute, 1995 edition.